Last week was chaos, but it was worth it. 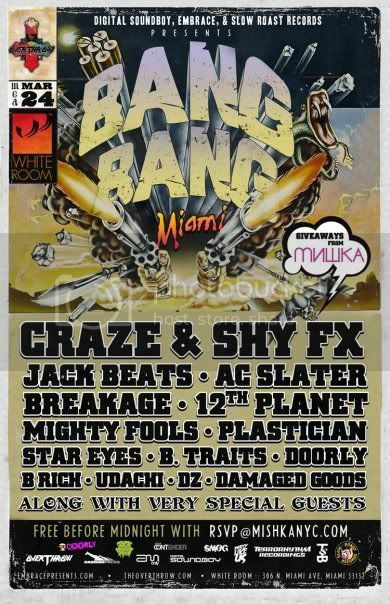 I know the word "epic" gets thrown around a lot, but WMC 2010 was certainly an epic win for the Miami Dubstep movement. If you caught any of the parties we pointed you towards in the previous posts, you'll know what we mean. 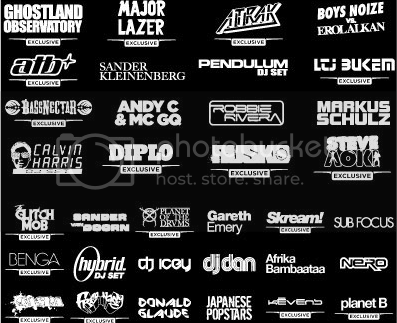 Unfortunately, due to some last minute VISA issues one thing was missing from WMC; a dubstep beast by the name of DATSIK. 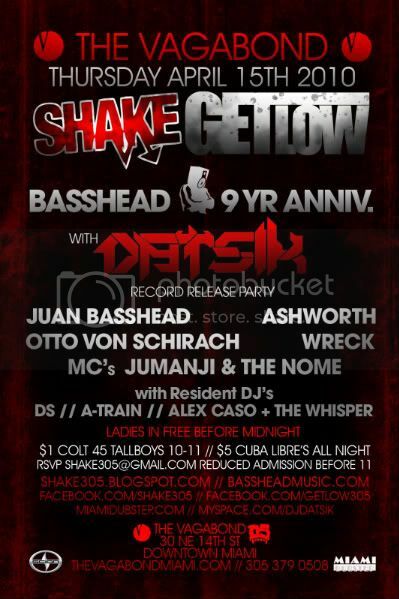 who will also be dropping the Bassnectar record "Bass Head" on April 12th; making this a Record Release Party as well! Check the flyers for all the info and make sure you spread the word! Coming into the home stretch of WMC, there's some great events if you're still standing. Check out these shows for Saturday and Sunday. Click the flyers to go to the event page. As an added bonus, an awesome Glitch party is going on upstairs! 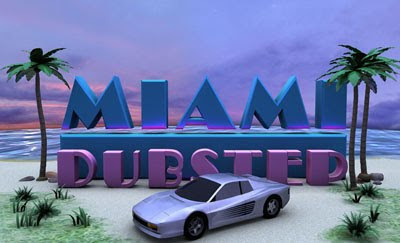 Yesterday Miami Dubstep gave you a huge list of events for WMC Wednesday. We're going to make your Thursday and Friday much easier. Check out these 2 huge events on their respective days. Click the flyer to go to the facebook invite. Last Thursday I had the pleasure of representing Miami Dubstep at Dialect a night of music and art at downtown Fort Lauderdale's Brew Urban Cafe. The event was put together by Kazilla Productions and Twilight Notes and hosted some of my favorite local artists like Jon Hunt, Mimi Botscheller, and Luzalma Gonzales. The Djs holding it down were Matthew P, Andie Sweetswirl, Kent Lawler, and Esoteric. Ladies and Gentlemen, it is with great honor that I present to you the final lineup for the SMOG vs BASSHEAD WMC showcase on March 25th. Big up to everyone involved and huge thanks to everyone who played a part in making this happen. We hope you are as excited about this show and WMC 2010 as we are. Please take a moment to rsvp by clicking on this link. Please help spread the word about this event. The lineup has something for any bass lover out there. South Florida's somejerk returns with a new dubstep mix, this time focusing on the deeper side of the spectrum. Download and make sure you share if you like it! 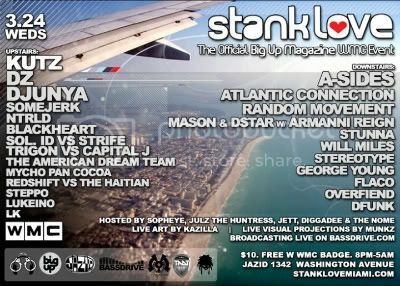 Wednesday, March 24th: Stank Love: The Official Big Up Magazine WMC Event. Jazid, South Beach. 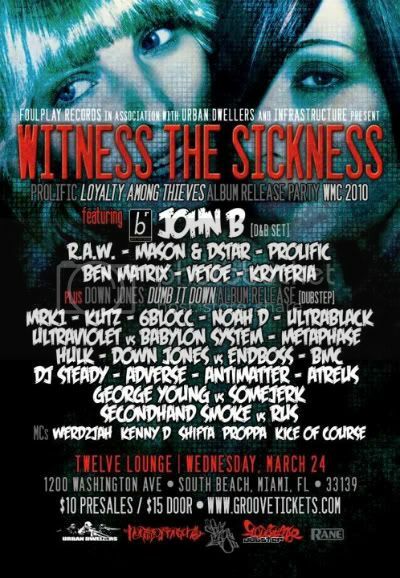 Wednesday, March 24th: Witness the Sickness, back to back with George Young. Friday, March 26th: Future Sound of Breaks, back to back with Methodus. Mekka, Downtown Miami. 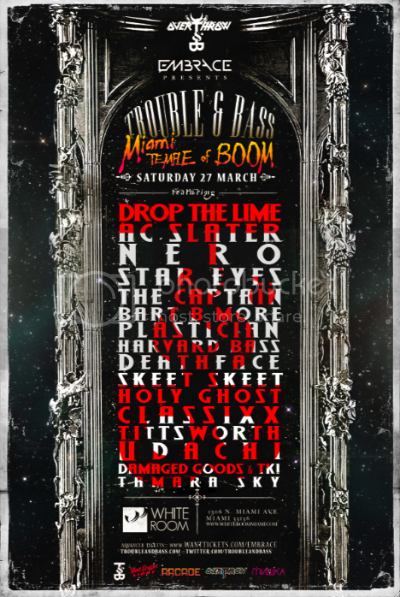 Saturday, March 27th: Dubstep Massive. Cinema, South Beach. 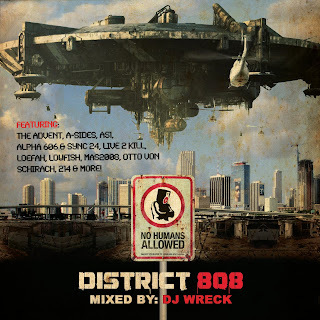 Sunday, March 28th: Down WMC Edition with Rogue Dubs and Dubstep FM. Cinema, South Beach. 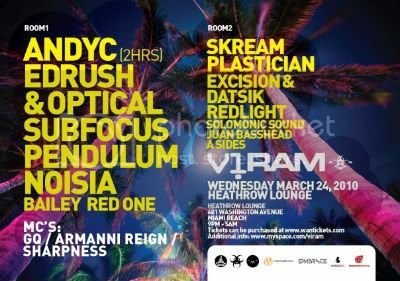 Wednesday March 24th the Digital Felon crew is kicking off this year's Winter Music Conference in Miami doing what they do best - throwing one of the dopest parties on the beach featuring a plethora of international talent from the dubstep and drum and bass communities. 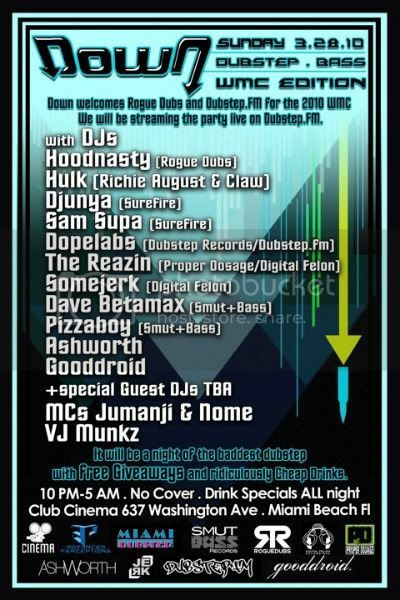 Stank Love's home off of 14th and Washington, Jazid, will be overflowing with bass music and party goers from 8pm to 5am. Make sure you RSVP for the event via Facebook! This year the Stank Love crew is teaming up with Big Up Magazine and Mal Label Music, combining forces and presenting a diverse line up both upstairs and downstairs.The event will be broadcast live on Bassdrive, the word's leading on line radio station. Admission is $10, and free if you're a WMC badge holder. DJ Wreck (Salim Rafiq) has assaulted the world’s most veteran B-Boys with his signature style of body rockin’ Electro-Funk and Swamp Bass. His dance-floor sensibility is uncanny and his understanding of both groove and time will take any dancer into a deep journey through the evolution of Bass music. His aggressive yet smooth blending habits are what set him apart from the rest. With the advent of a new era on the horizon, Salim has been working relentlessly in the studio. He has joined forces with UK drum and bass producer A-Sides to create the group LIVE 2 KILL. Their mission: To push boundaries on the dance floor by creating their own unique domain, where BASS is the key to unlock yourself from within. The duo has completed their 1st EP and has plans to finish their debut album this summer. 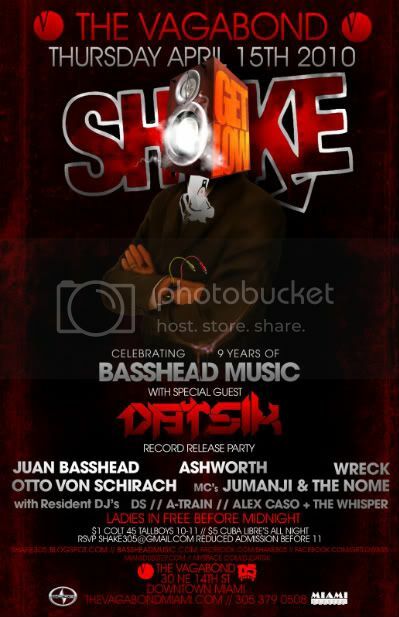 Tremors have already been reported by the likes of Otto Von Schirach, Juan Basshead, Paul Blackford and Hydraulix. The LIVE 2 KILL EP was also featured on the "Jam on the Groove" radio show hosted by legendary Cozmo D of Newcleus. This video is a continuation of the Golden Don's footage from Get Low IX. Check that if you missed by clicking here. This one gives you a lot more 16 BIT action and the chaos they created! We're very excited about our most recent signing. 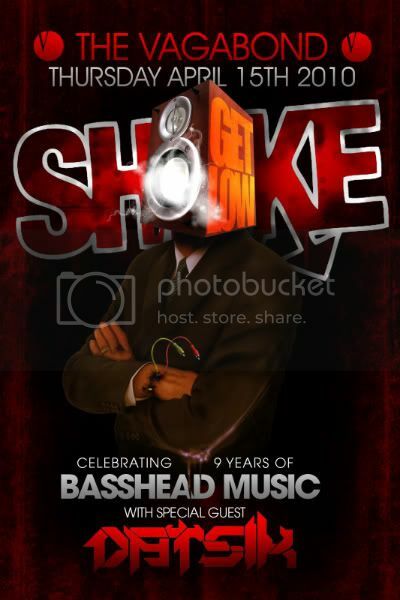 This will be the first vinyl release by Bassnectar in over a year! Side A is an 808-driven bassline workout; side AA is a dancefloor stomper with vocals by underground hiphop star Zumbi (Zion I). You've got to hear this release! 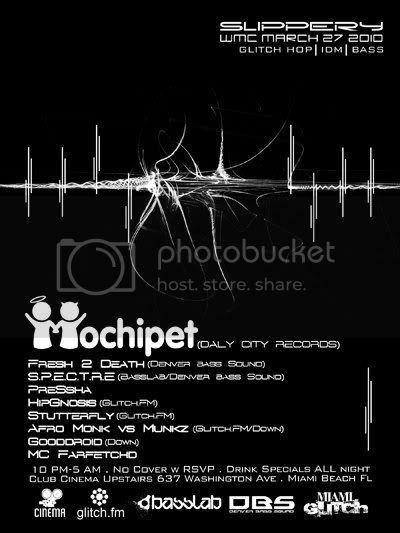 It sounds like DnB and Dubstep made love and produced a Hip Hop baby. Distributed by S.T. Holdings. Promo by Rocket Science Media. 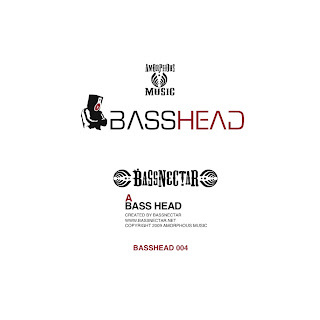 BassHead 002 - Otto Von Schirach - "Bass, Low" / "Bass Galactica 8"
BassHead Ltd. 001 - DatisK - "Gizmo" / "Gecko"